On the path to success in only four simple steps! 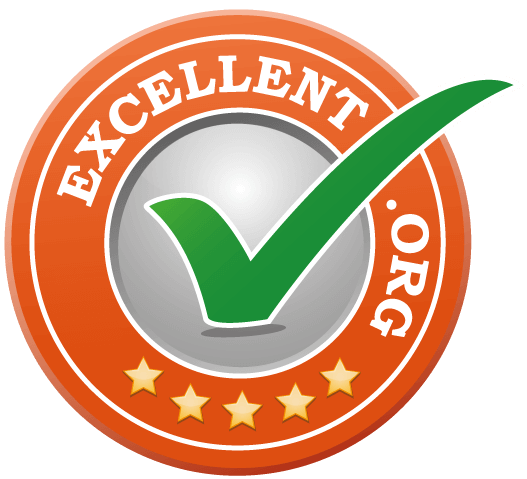 EXCELLENT.ORG will help you to collect customer reviews and expert opinions to present them with our rating badge. The update on your website will happen automatically. 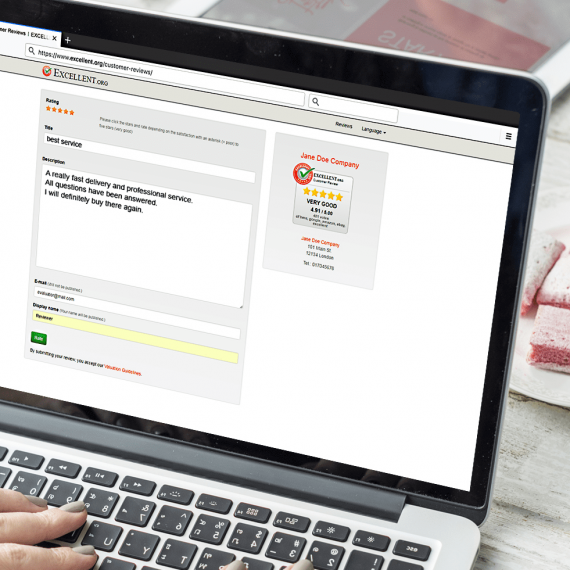 Use the rating badge and start collecting personal and real customer reviews within a few minutes. 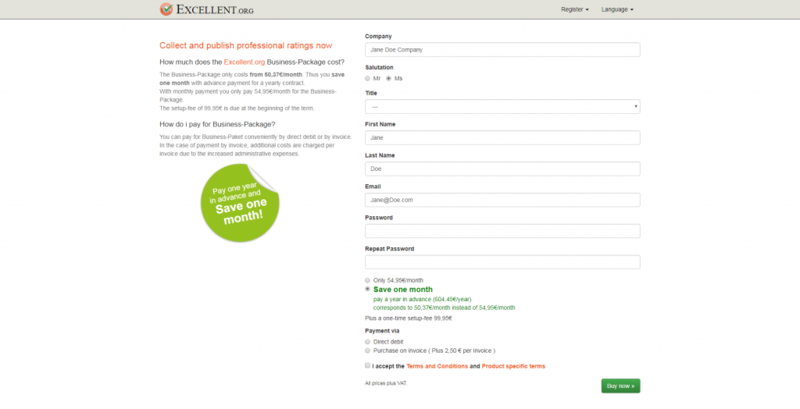 Create an account and decide in your member section by your own where to integrate the rating badge on your website. The position of the badge can be changed at any time. The rating badge for customer feedback can be integrated immediately after the registration. Get started now! 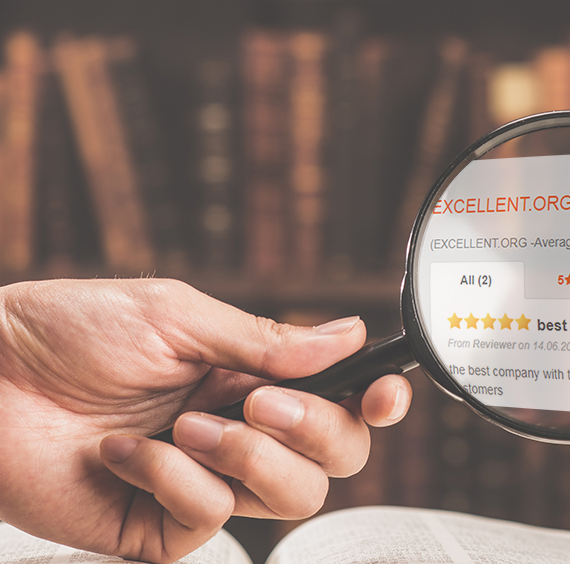 Collect new reviews every day and show them on your website and with our Google integration your rating will be also shown in the Google search results. Only real reviews from real customers, as well as your invited experts will be accepted. 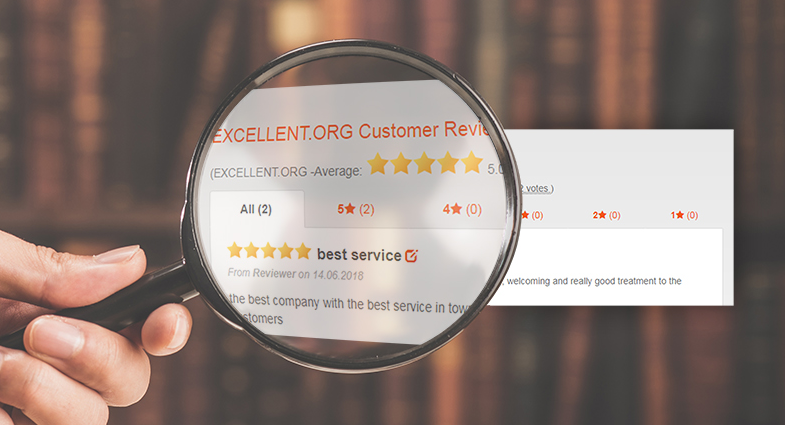 Simply use our individual review link to send review requests. 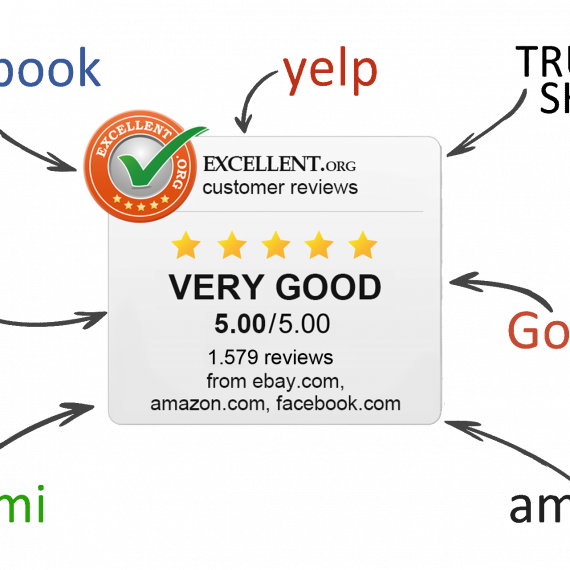 The All-In-One function allows to add other rating portals such as Ebay, Amazon, Facebook, etc. to our badge and integrate them in your overall rating. Depending on the booked package, up to 7 external rating portals can be integrated. 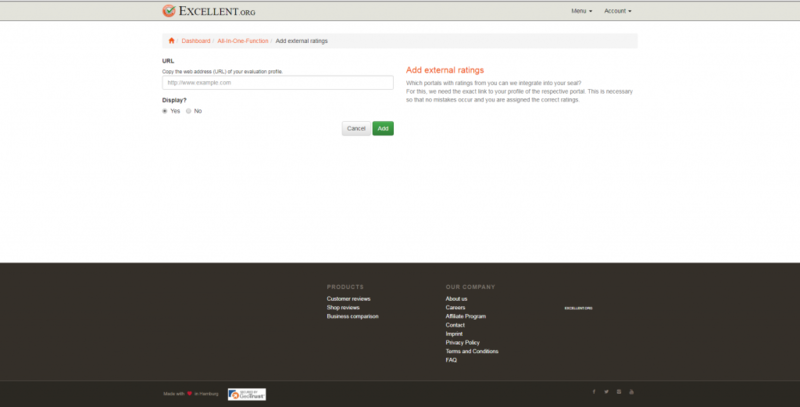 Every customer and expert who want to post a review must confirm it at EXCELLENT.ORG. Of course, we will inform you about every new user statement. We only accept reviews from real customers. In case of reasonable doubt concerning the realness of a review you have the possibility to make use of our mediation process. With that it is quite easy to overcome a lot of misunderstandings. 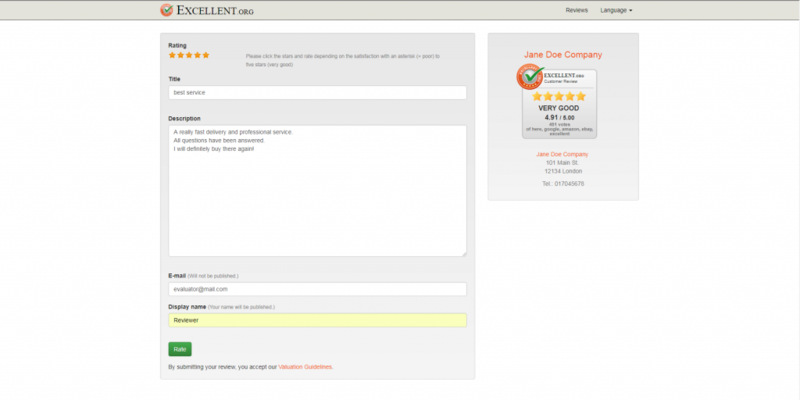 Now customer reviews decorate your website. They show everyone that you are a trustworthy provider and you care about your customers and their opinion. Customers love that! 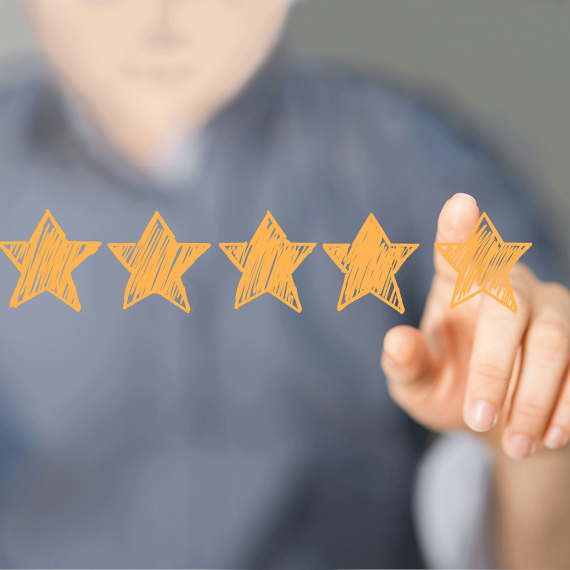 Your sales will increase because the clear majority of the online customers relies on reviews of other users.